Celebrate 90 years of the global icon since his first appearance in black-and-white animated short film Steamboat Willie in 1928. With his signature big, round mouse ears and infectious smile, Mickey Mouse is one of the world's most recognizable cartoon characters. Beast Kingdom celebrates that milestone with the 90 Years of Mickey Classic Collection from MEA (Mini Egg Attack) series as perfect office desk decor. 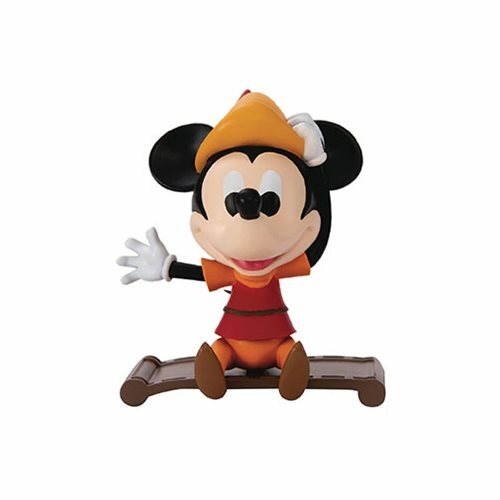 The Mickey Mouse 90th Anniversary Robin Hood Mickey MEA-008 Figure - Previews Exclusive is hand-painted in vivid and vibrant colors.